Beat the heat this summer with a sweet, healthy drink! Craving the sweet taste of summer? Living with an organic, grain free, dairy free and whole foods based sister last summer, I quickly learned that the best way to beat the summer heat isn’t always with ice cream or popsicles. Sometimes all you have to do is look to nature’s own sweet treats – fruit. Smoothies are quick and easy to make, and you can create them in any flavor that you want by simply swapping out the fruits used. 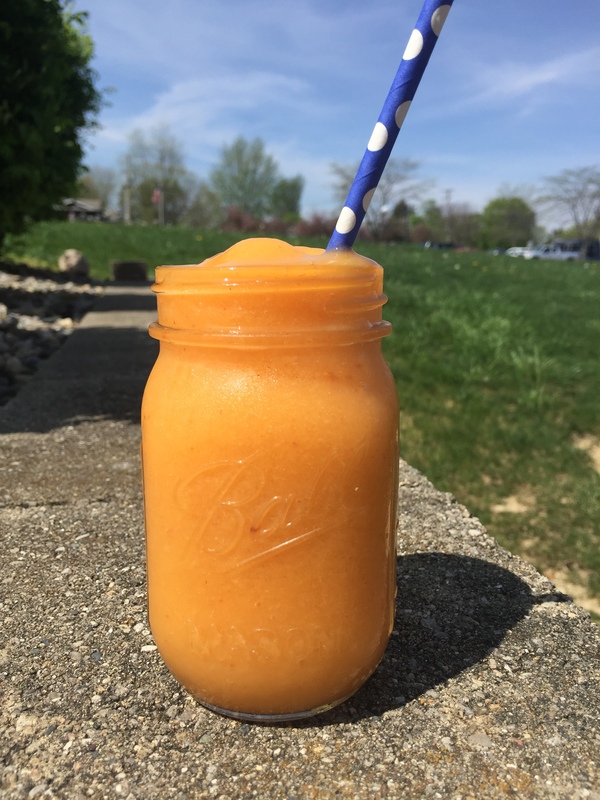 Give this peach mango smoothie a try, and if you’re feeling adventurous, toss in some pineapple or banana to give it a more tropical feel. In 5 minutes or less, you’ll be summer-ready with a cold drink in hand. For a green smoothie with an extra boost of nutrients, just add a small handful of baby spinach to the mix and blend.